Ragnar Lifthrasir, President of the International Bitcoin Real Estate Association, has become the new Director of Real Estate for Ubitquity. Ubitquity uses the blockchain to help prevent fraudulent transactions in real estate markets, while allowing an improvement on the settling of claims, and tracking the record of ownership across the entire real estate industry. We were able to interview Ragnar, discussing his new role as Director of Real Estate for Ubitquity. What are your thoughts on the Blockchain 2.0? Can bitcoin’s blockchain be improved upon vastly? Bitcoin blockchain 2.0 is currently more than sufficient to build safe and innovative real estate specific applications. What needs improvement is industry professionals’ willingness to implement what’s better over what’s familiar. What is so appealing in regards to bitcoin startups to investors and such? Bitcoin is a public, almost free, self-producing factory of crypto-legos. Investors in Bitcoin startups are supporting master builders to go into that factory and build financial transaction tools that have never been able to be built before. 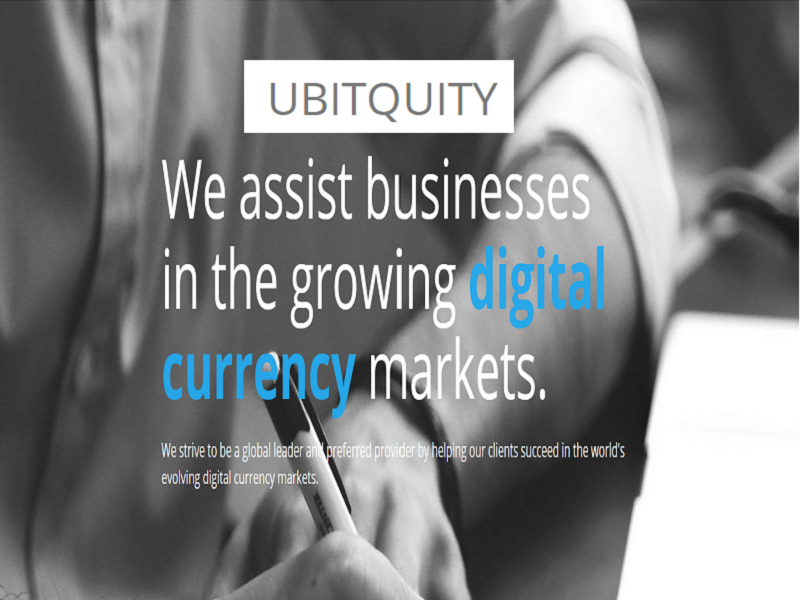 Why did you join Ubitquity? I joined UBITQUITY because they have the team who can build the platform to perform real title transactions on the Bitcoin blockchain. Their platform will be secure, and just as important, will be designed for the real world. Can you see a future where real estate is conducted through the blockchain on a daily basis? In the future, real estate will be conducted primarily using Bitcoin because at its most basic, Bitcoin is a network. And like Facebook or LinkedIn, once network adoption reaches a certain point, everyone will be forced to transact on that network or they will be left out. Because Bitcoin and its blockchain are so superior to current practices, to not use them will be considered professional incompetence. As President of the International Bitcoin Real Estate, what is the association’s goal? As President of the International Bitcoin Real Estate Association, my main goal is first and foremost a social one. I’m trying to connect people who want to do deals together using Bitcoin and its blockchain. The goal doesn’t rely on new or improved technology. We have the software we need, what we need to pull the trigger on the technology. Real estate transacts on a manual, person-to-person basis. Is it safer to conduct a real estate purchase through the blockchain than in-person? I argue that using Bitcoin and its blockchain for real estate purchases is much safer than how it’s currently done. Right now we have to trust in rubber stamps, the authenticity of photocopies, and humans holding money. We’ll look back in five years and say real estate was using horses because cars were deemed too risky because they relied on electricity. What are your thoughts on the future of bitcoin and bitcoin real estate? The future of bitcoin and real estate isn’t a question of technology, but of implementation and adoption. We already have the software tools we need. Onboarding property owners, investors, title insurance companies, realtors, government agencies, escrow companies, and realtors is the future. It’s slow, unglamorous work. It is accomplished one person at a time. For the real estate industry to bring itself into the 21st century, industry professionals will individually need to decide to use Bitcoin and its blockchain in their transactions. And then insist their colleagues on the other side of the table do the same. Bitcoin continues to make strides to achieve mainstream adoption. Real estate is a big part of every country’s economy, and the fact that bitcoin allows people to execute real estate transactions without worrying about fraudulent activity is a huge leap forward. The blockchain is an innovative system and it is being put to good use with new ideas from bitcoin startups. The future remains bright for bitcoin and it will be interesting to see whether investors gain or lose confidence in it. What are your thoughts on the importance of Bitcoin in Real Estate? Let us know in the comments below!